We just got back from a week long vacation. The hardest part is the 10+ hour ride getting there and back. We like to break up the ride some but no matter how you slice it getting ready for a 10 hour road trip with a seven and five year old can be tricky. I’m willing to do some maneuvering when at the end I’m burying my toes into Lake Michigan sand. 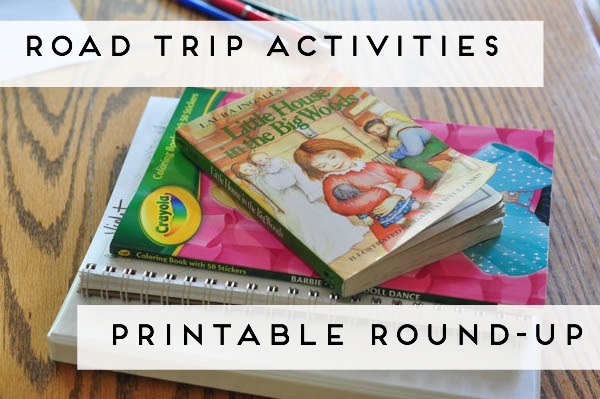 One of the must have essentials on every trip is each kid’s entertainment backpack and binder. The backpack contains the iPad (and headphones), a brand new coloring book (that they pick out and I save) and crayons, a new notebook with a few pre-drawn doodles that they can color in, a few books, and their binder. Dad’s worksheets – Violet did these as time trials last year at school, so I thought I’d add them as refreshers. I like to put everything but the coloring sheets in page protectors and give them each a dry erase marker. 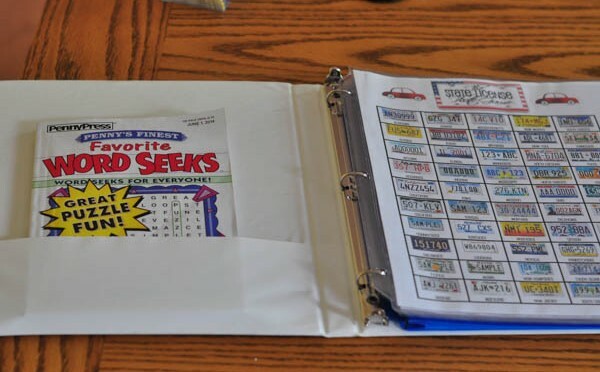 To keep the coloring sheets tidy, I use a plastic envelope that’s made for 3 ring binders. I’ll also put stickers and other odds and ends (a coupon for an hour of radio control for example) in there as well. We’ve had a lot of success with them. Violet even spent one evening “just working on math problems” when she needed a little down time (in this she is NOTHING like her mother). What are some of your road trip tricks? Do you have games or activities you can share with me? Thank you for this fantastic idea and all the great links! I love the new site design!